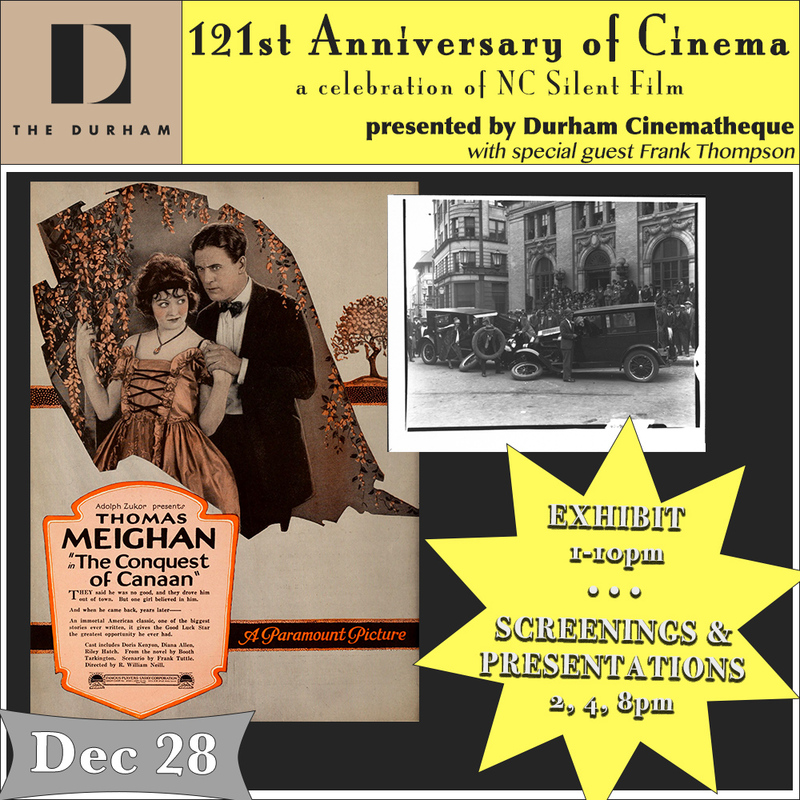 Wednesday, Dec. 28, join us for our 2nd annual Anniversary of Cinema celebration presented by Durham Cinematheque. Auguste and Louis Lumiere premiered their cinematographe at a café in Paris on December 28, 1895, which is now considered to be the first evening of cinema. Explore a hands-on exhibit of cameras and projectors dated from 1920s-1990s all day and schedule your visit around screenings and presentations by Tom Whiteside of Durham Cinematheque and film historian Frank Thompson. The coffee shop will be open throughout the day for coffee, pastries, and cocktails. Dinner is served in the restaurant from 5:30-10pm and the roof is open 5pm-midnight. For reservations, please call 919-768-8831.